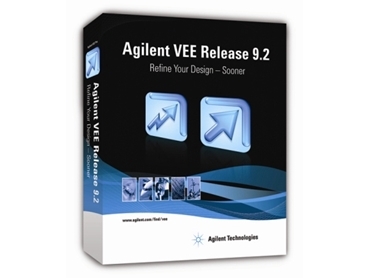 Agilent Technologies has announced the release of Agilent VEE 9.2, an interactive graphical programming software application for test and measurement. Agilent VEE 9.2 provides support for Microsoft Windows 7. VEE 9.2 graphical programming software helps engineers and scientists reduce programming time and quickly complete measurement tasks. VEE 9.2 graphical programming software retains the high-performance, multithreading and multi-core programming features of VEE 9.0 and is backwards compatible. Programs developed in VEE 9.0 work seamlessly in VEE 9.2 graphical programming software. "Agilent is committed to deliver test and measurement programming software that helps our customers keep pace with the latest technology," said Ee Huei Sin, vice president and general manager of Agilent's Basic Instruments Division.